J .M. Electrical have been providing a wide range of electrical services in Bedford, Milton Keynes, Northampton and the local areas for some time now. We have built up a large clientele base and have gained a valued reputation for our hard work and continually high company standards. All of our electricians are fully qualified, providing high quality services for commercial and industrial customers at competitive prices. Our approved NICEIC electricians always work in an efficient manner to meet with both our own high standards and those that are expected of us from our customers. Our highly trained commercial electricians are able to provide a wide range of electrical services including data communications and CCTV systems. 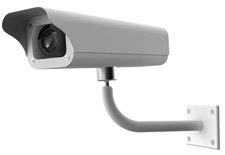 We are able to design, install and maintain most CCTV and data communications in Bedford, Milton Keynes, Northampton and the local surrounding areas. As part of the quality services that we provide, we also offer a fault finding service which are carried out by professional electrical engineers. For all of our commercial and industrial customers, we are able to deliver an expert fault finding and repair service for all areas of our business 24 hours a day. If you require an emergency electrician, day or night, please call us on 01234 436 412. For further electrical assistance, including data transmission, fire alarms or emergency lighting, why not give us a call on 01234 436 411, where we would be pleased to help you further.